A new Kairosoft game is out, so that means it's time to put away that trigger finger and dig out your thinking cap, because it's time to manage property. 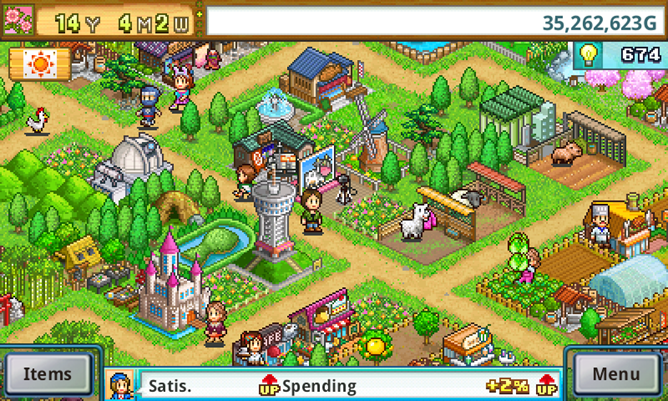 Some of the company's previous titles have placed players in feudal Japan, on a soccer field, or atop luxurious apartment complexes, but its latest game plays it even safer. 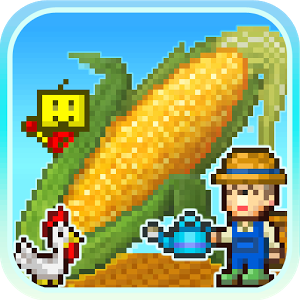 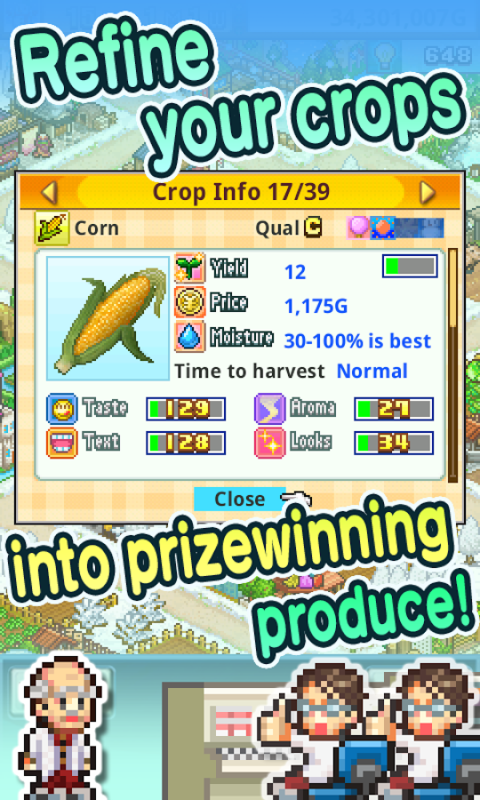 Pocket Harvest puts you at the head of your very own farm, a concept that has grown so ubiquitous through games like Harvest Moon and Farmville that it now ranks somewhere up there with Tetris and Solitaire. 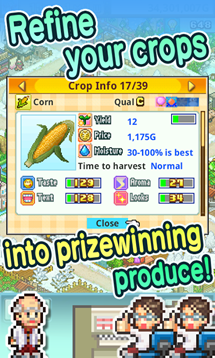 Unlike the Sims, where players get to live out dream lives vastly more exciting than their own, farming games task players with repetitive, menial tasks that most of us would not even remotely consider doing in real life. 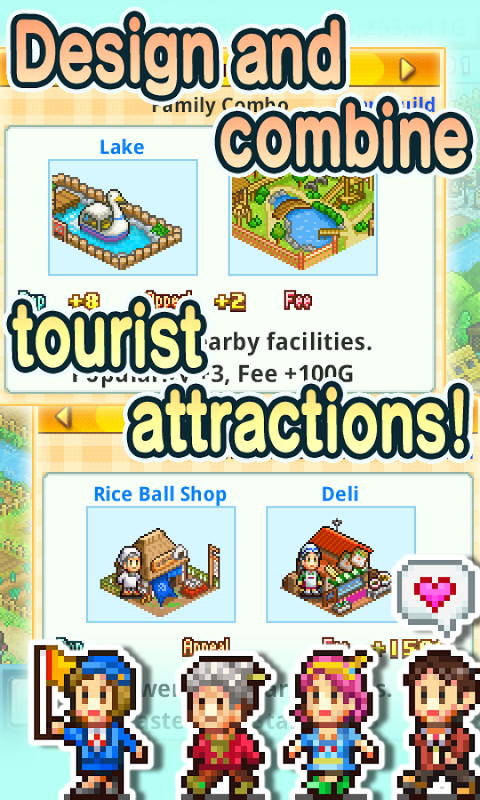 Yet there's still something oddly engrossing about them. 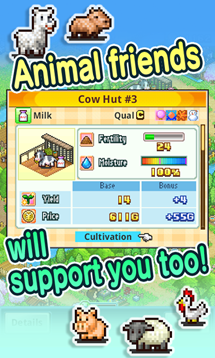 Whether it's the thrill of being in charge of our own land or the allure of adorable animals, there's an element of virtual farm life that tugs away at our heartstrings, and as many of you already know, a farming sim by Kairosoft is bound to do this well. 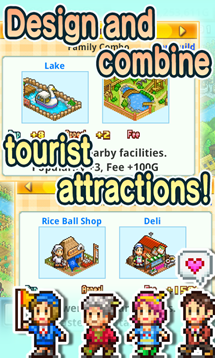 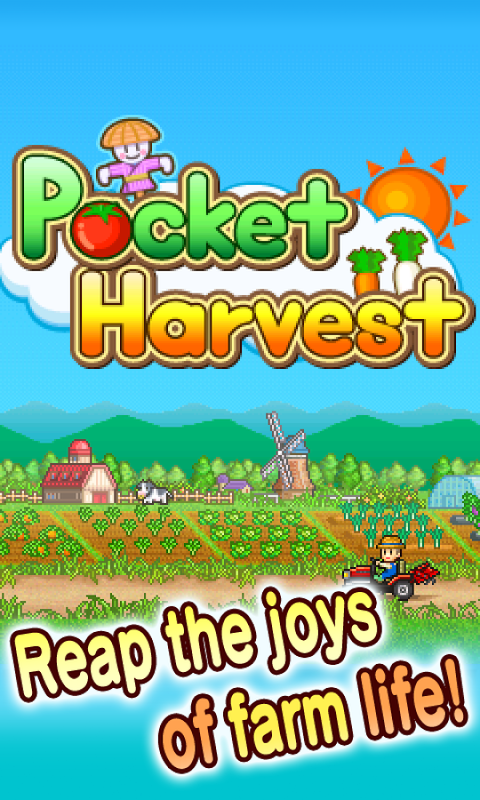 Pocket Harvest is more than a farming sim, and as you boost your income, you will draw in tourist attractions such as sporting events and hot air balloon rides. 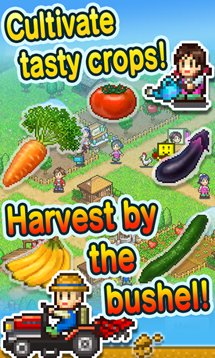 High rises will spring up alongside you, fed by the produce you so reliably deliver. 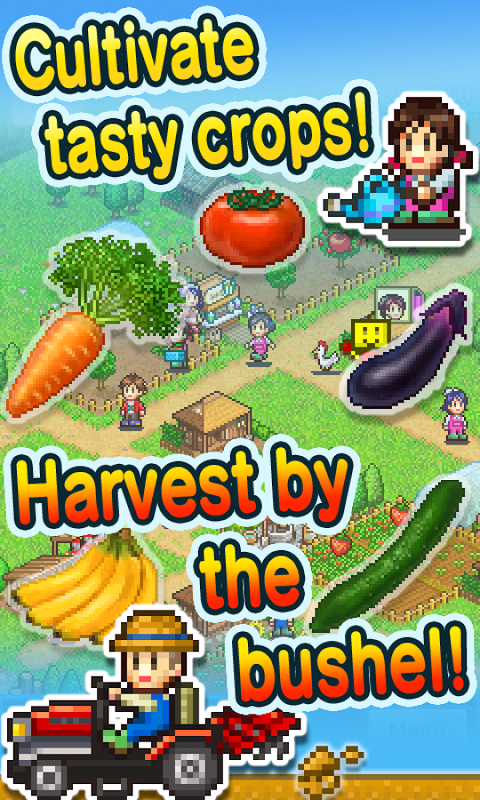 This may just be the farming sim for people who have grown tired of farming sims. 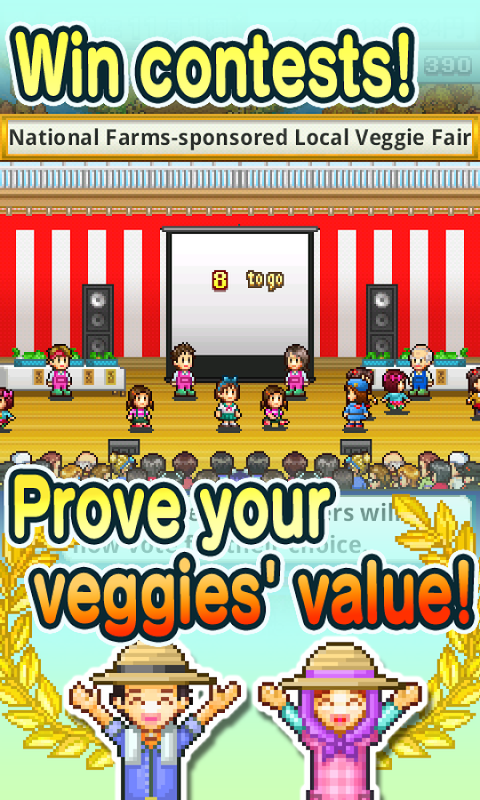 It's not uncommon for Kairosoft to avoid the use of IAPs in favor of charging you outright for the full experience. 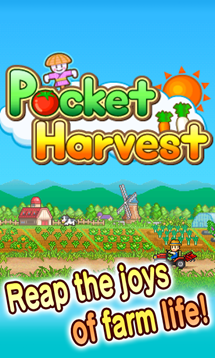 At $4.99, we can assume Pocket Harvest fits into this mold. 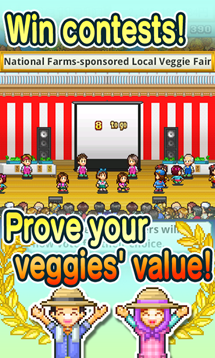 There's no demo available, but if you're already Kairosoft fan, you don't need one anyway. 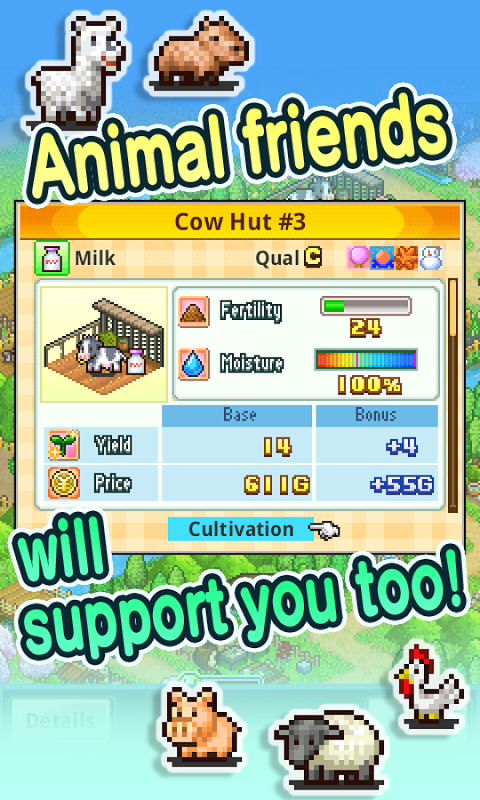 You know what you're getting.